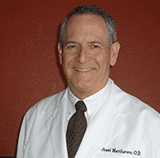 Dr. Michael S Matthews graduated from the School of Optometry at the University of California, Berkeley. Senior Optometrist at Oasis Optometry in San Francisco and Alameda Eyes Optometry in Alameda, Dr. Matthews sold both practices and retired to Mazatlan, Mexico. Dr. Matthews has been a volunteer staff optometrist for the Hospital del La Familia in Guatemala since 1991. He retired as a Lt. Commander from the United States Coast Guard Reserve where he served primarily in Search & Rescue in the San Francisco Bay out of Yerba Buena Island. Dr. Matthews enjoys boating, fishing and dancing the Argentinean Tango with his wife Ivy. 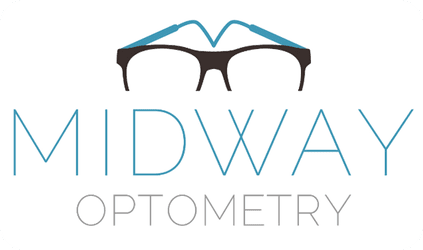 Opting to come out of retirement, Dr. Matthews moved to San Diego and assumed ownership of Midway Optometry in Point Loma. Bringing his many years of experience to Midway Optometry, Dr. Matthews takes pride in his ability to bring you the best in eye care. Dr. Matthews is using the most modern and sophisticated instrumentation in Optometry. Whether you need to be fitted for contact lenses or simply want the latest in eyewear fashion, his un-rushed approach shows his dedication to precision and comfort of his patients. Born in Johannesburg South Africa and spending most of her free time traveling, Jacqueline thoroughly enjoys a variety of languages and cultures. 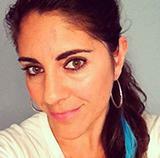 A mother of 3 sons who enjoys photography, music and riding her motorcycle. Jacqueline assists with performing the BelphEx treatment which helps to relieve dry eye and blepharitis with Midway Optometry. 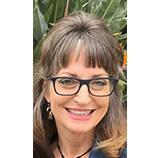 Jacqueline is a Licensed Esthetician and Master Spa therapist including an additional 15 certifications with licenses both in California and Utah. Shelby was born in Kansas City Kansas and grew up “next door” in Mesa Arizona. She has been a Navy Spouse for the last 7 years. She and her husband have lived in Oklahoma City, San Diego, and Honolulu Hawaii. She is also the proud parent of a 60 pound Fur Child Mika. In her spare time, she enjoys crafting, sewing, and wood working. She is scuba certified, her favorite dive was the night Manta Ray Dive in Kona Hawaii where she got to swim with 18 Manta Rays. She also loves Disneyland and sneaks up to Anaheim as often as she can. Shelby has worked in quite a few administrative positions specializing in documentation and customer care for the last seven years. She worked for nearly three years at a non-profit optometry clinic in Honolulu Hawaii. With that amazing opportunity, she was able to gain the skills and experience that lead her to her position here at Midway Optometry. Stephanie has been employed in a variety of positions from Bethel School District in WA State as a financial technician to Trader Joe’s in La Jolla demonstrating unique recipes, scanning groceries, and recommending great wines.